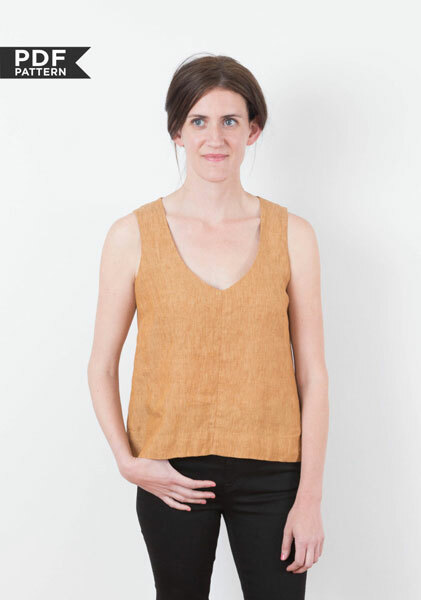 The Hadley is drapey, fluid, and sophisticated. 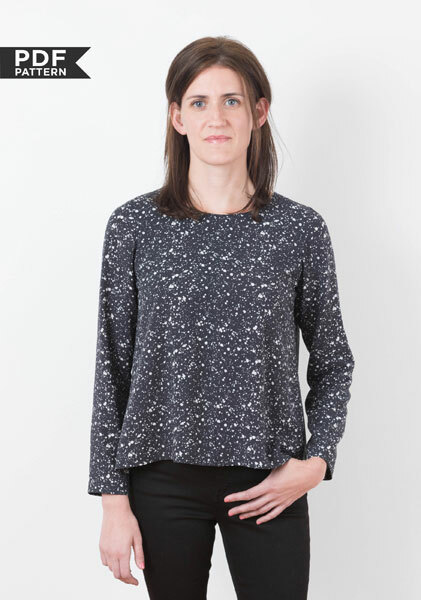 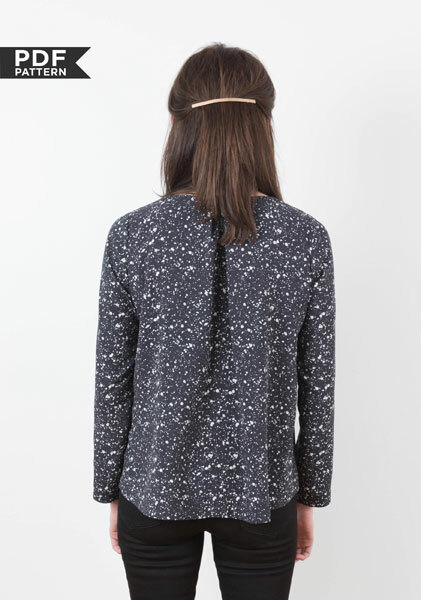 It's the semi-formal top that you need to wear to work or to throw on over your jeans for a night out. 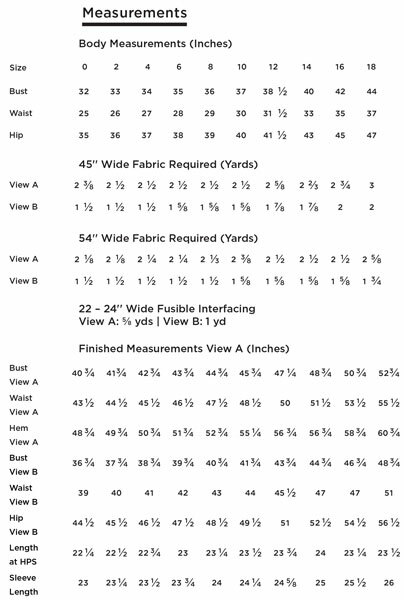 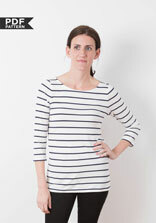 View A has a jewel neck, a pleat at the back neckline, and bracelet lengths sleeves. 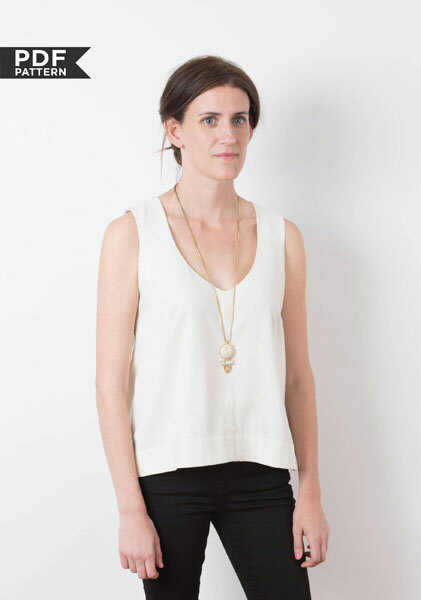 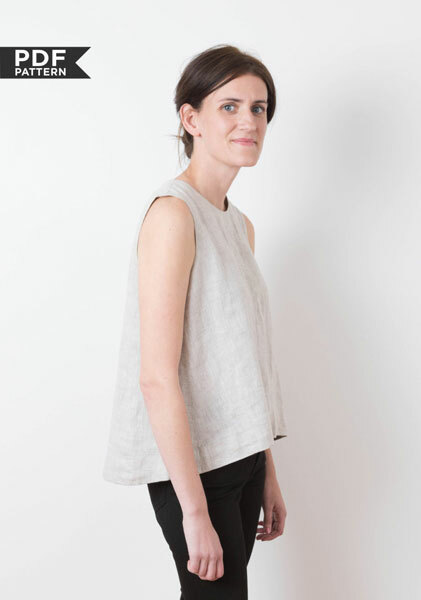 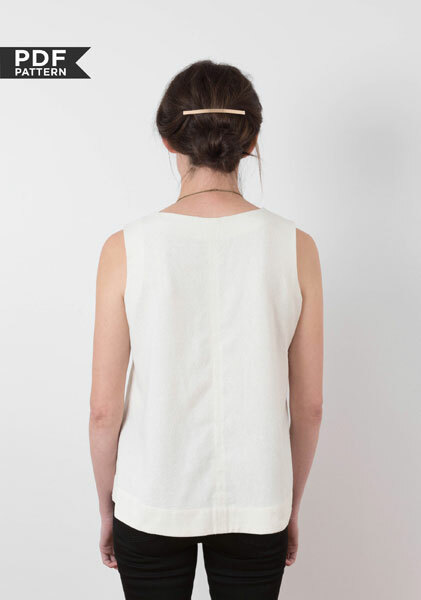 View B is sleeveless and features a soft v-neck. 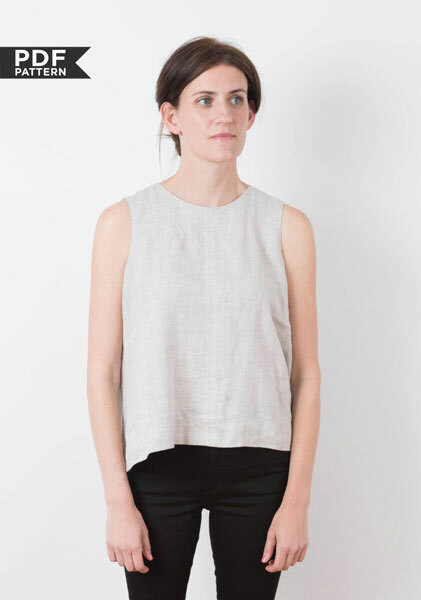 Both are subtly geometric as the have center seams in the front and back as well as a wide hem.